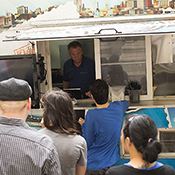 As the food-truck phenomenon sweeps the country, UB alumni Robert Raber, B.S. 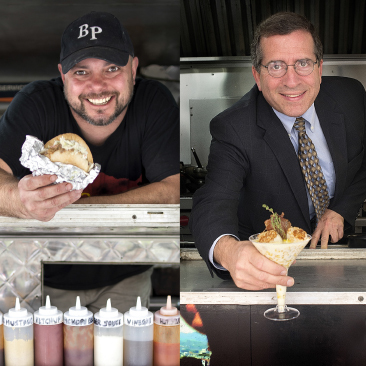 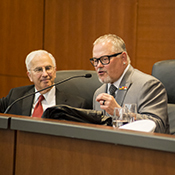 ’96, co-owner of Kommie Pig, and David Shapiro, J.D. 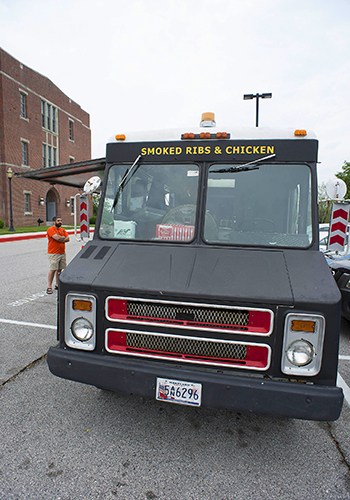 ’84, co-owner of Charm City Gourmet, have jumped on the bandwagon. 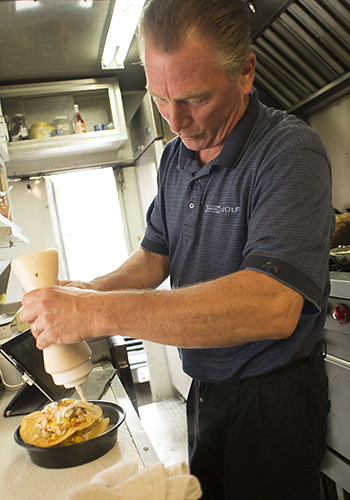 Get a behind-the-scenes look into the life of a food truck operator below, courtesy of Raber and of Shapiro’s partner, Chris Cherry. 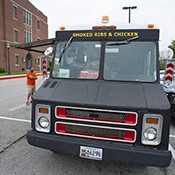 And if you’re in Baltimore, don’t forget to utilize the Food Truck Finder, developed by Adam Marton, M.A. 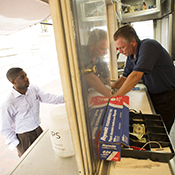 ’09, and his team at The Baltimore Sun. 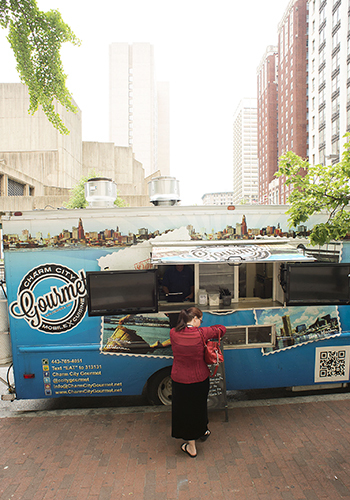 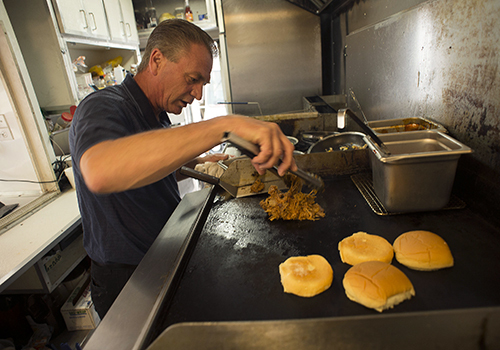 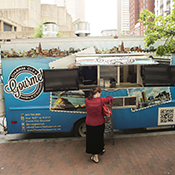 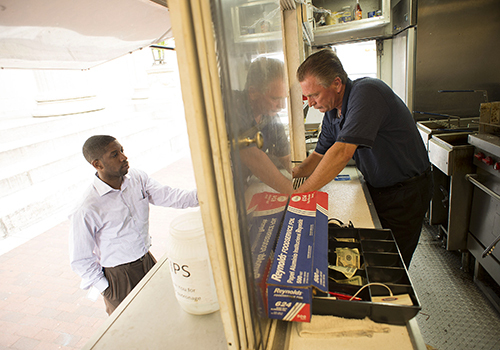 Chef Chris Cherry, Shapiro’s partner, takes orders inside the Charm City Gourmet food truck. 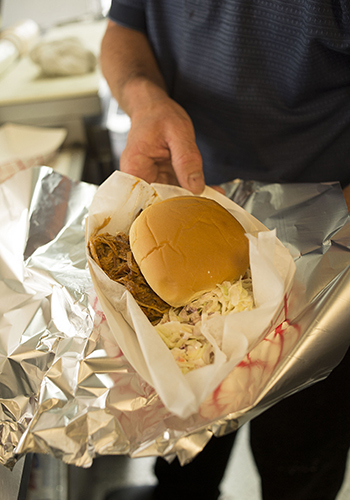 Cherry prepares a lunch order of North Carolina pulled pork on a sweet roll. 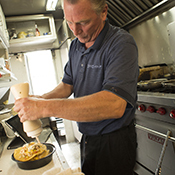 Cherry moves on to the next dish, a blue crab tostada topped with sauce. 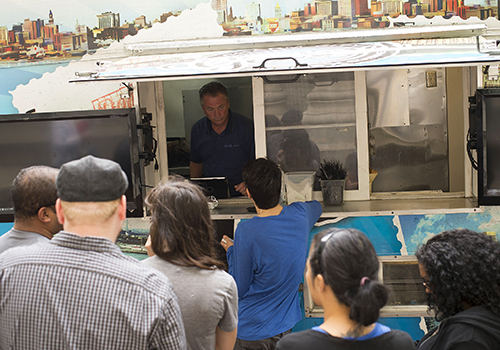 The lines tend to get long—but customers will tell you it’s well worth the wait. 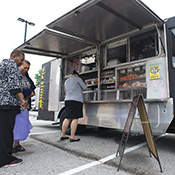 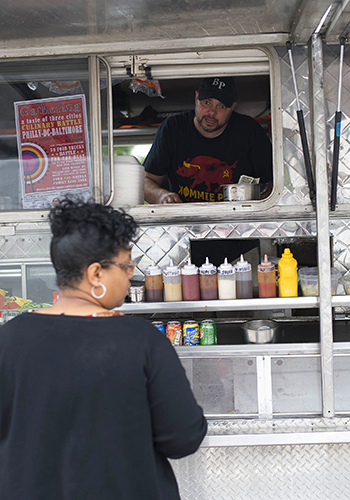 Customers survey the menu outside of Kommie Pig, a food truck co-owned by Robert Raber, B.S. 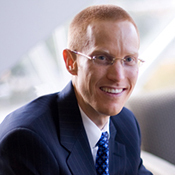 ’96. 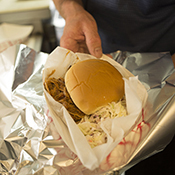 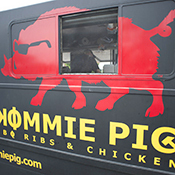 Kommie Pig is known for its barbecue ribs, smoked chicken and pulled-pork sandwiches. 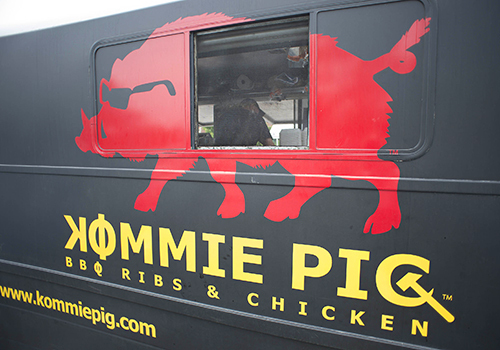 Kommie Pig is ready to roll to the next location at any moment. 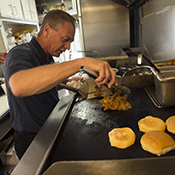 Raber, who usually mans the grill, takes an order from a hungry customer. 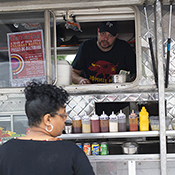 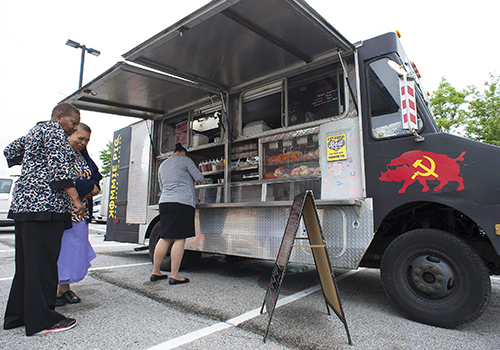 When it comes to transit fare, two alumni are on a roll as Baltimore-area food truck co-owners.